In addition to its sheer scorching beauty, this memoir of Allende's dying daughter has a great deal to teach about grief and transcendence. When Isabel Allende's daughter, Paula, became gravely ill and fell into a coma, the author began to write the story of her family for her unconscious child. In the telling, bizarre ancestors appear before our eyes; we hear both delightful and bitter childhood memories, amazing anecdotes of youthful years, and the most intimate secrets passed along in whispers. 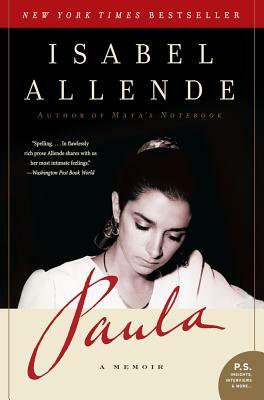 With Paula, Allende has written a powerful autobiography whose straightforward acceptance of the magical and spiritual worlds will remind readers of her first book, The House of the Spirits.